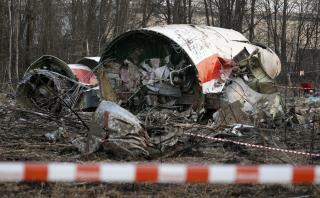 (Newser) – Six years after a plane crash in Russia killed 96 people, including Polish president Lech Kaczynski, the body of every available—that is, uncremated—victim is to be dug up, reports Reuters. The ruling Law and Justice party launched a new investigation into the crash after accusing Russia of withholding evidence, including the plane's black boxes, which Russia says it needs to complete its still-open investigation. Prosecutor Maciej Kujawski tells the AP that the autopsy reports Russia have provided don't explain the crash, which has been chalked up to pilot error but which some in the party suspect may have been an intentional explosion that served as an assassination. So if the explosion is the question, why are they digging up the bodies? Right ... Russia shoot down a pro-Russian Polish president. Makes sense.